Is there a better alternative to GeoTagster? Is GeoTagster really the best app in Photography category? 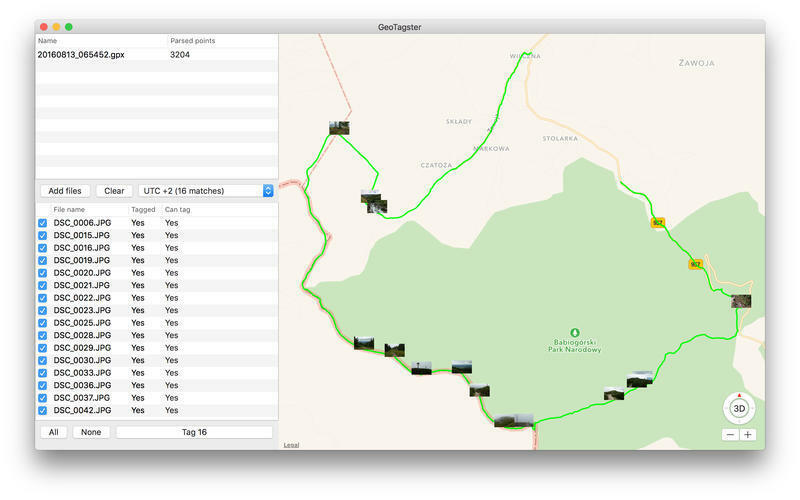 Will GeoTagster work good on macOS 10.13.4? 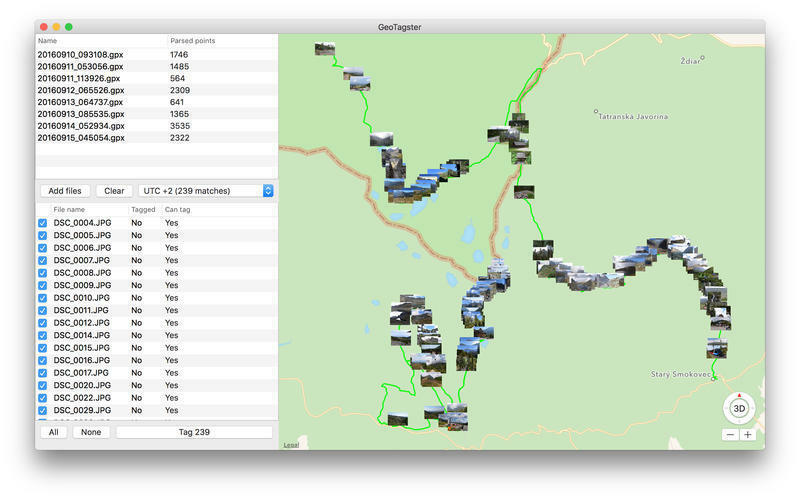 GeoTagster is a simple, robust, and super-fast geotagging using your GPX files. Load your RAW or JPG photos, and your GPX files, and enjoy fast automatic tagging with latitude, longitude, and altitude (if available). 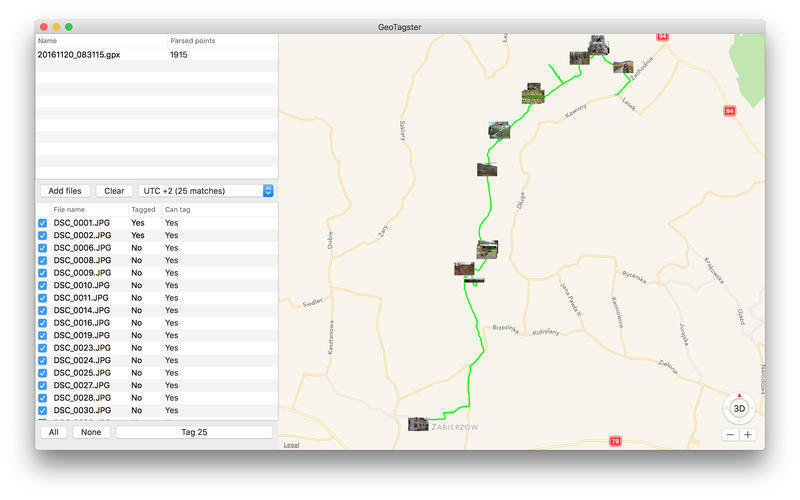 View your GPS route on the built-in map, and verify if the time offset is correct. GeoTagster needs a review. Be the first to review this app and get the discussion started! GeoTagster needs a rating. Be the first to rate this app and get the discussion started!